Holiness or sanctity usually conjures up images of the somber and intimidating . The holy man is characteristically the ascetic, disembodied from the physical gifts and pleasures of life, demanding deprivation and suffering. It is no wonder therefore that the religious term of holiness is not often greeted with interest or appeal. In Judaism, "Kadosh"-holy-is understood in a radically different way. Needless to say, the notion of holy implies some process of movement away from the mundane toward that which is viewed as godly. There are indeed elements of disciplined behavior, of guidelines that need to be followed. But holiness should not repel by scary associations to punishment and fault-finding. While "Kadesh "suggests the transcendent, that which is beyond the mundane, nonetheless it can be yearned for from a perspective of intimacy and joy, not fear and retreat. The beginning of the Seder is entered into by reciting a blessing over wine and in this way, the occasion is marked as a sacred moment . The first of four cups of wine is drunk to celebrate the sanctity of the festival. Holiness is arrived at through the taste of wine, that "which gladdens the human heart." I would suggest ,therefore, that the psychological and spiritual state of mind that leads us to holiness and the greater awareness of the divine is joy, an open heart filled with gratitude . The Talmud conveys this psychological reality quite stunningly when it asserts that "The Schekhina-the Divine Prescence- does not rest on one who is immersed in sorrow-‘atzvut,’... but only when one is engaged in rejoicing while fulfilling a religious act” . The Festival is termed in the Bible as a "Mikrah Kodeh"- a calling to holiness. Thus the Seder summons us to embrace all that brings joy in our life and in this way proceed along the path of spiritual maturity and holiness. A "gematria" is an interpretation arrived at or reinforced by the numerical value of a Hebrew word and its relationship to others. (Each letter of the Hebrew alphabet is equivalent to a number: Alef=1, Bet=2, Gimel=3 etc.) If you consider the word to rejoice, "Samoach," the letters "samech"=300, "Mem"=40, "Vav"=6, "Het"=8 for a total of 354. Add the numerical value of "Kol"-all, "chaf"=20,"lamed"=30=50.The numerical total of both words is 404. Now consider the numerical value of "Kadesh"-sanctify."Kuf"=100,"daled"=4,"shin"=300. The total for "sanctify" is 404. In other words, one sanctifies one's life, one's time, the occasion of celebration, by gratefully rejoicing in the totality , the "allness" of God's gift of life and the world. 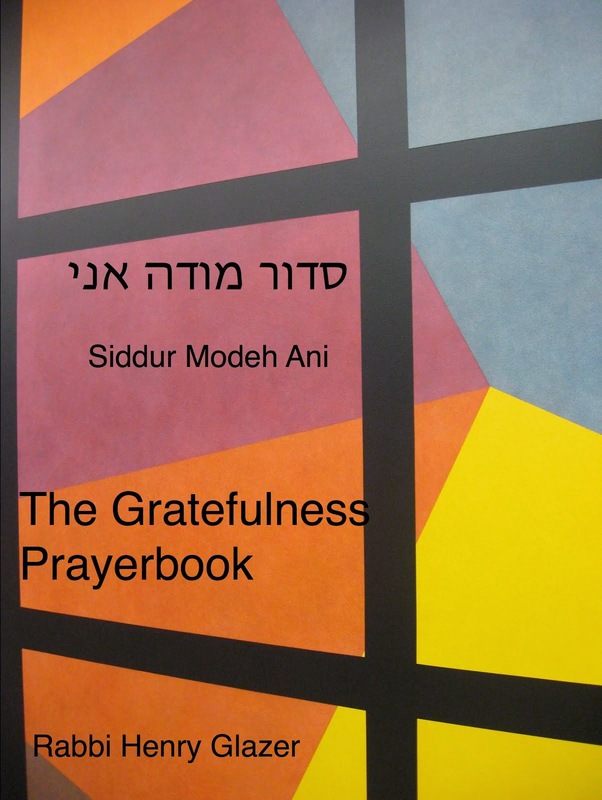 The first step in reaching God awareness, the spiritual purpose of the Seder, is to sanctify-KADESH-by embracinfg the "allness" of life with grateful joy. "Know that joy is rarer, more difficult than sadness. you must embrace joy as a moral obligation. "-Andre Gide. Passover, of all the Jewish holidays, is characterized by a sense of yearning. It marks the end of a prolonged period of yearning for freedom and the beginning of a period of yearning for revelation, for witnessing the divine at Sinai. Referred to in Exodus as "Leyl Shimurim"-the night of being on the lookout, being watchful and attentive, the aspect of looking forward to is prominent in our minds. It is no accident that the Song of Songs is read at this time.This love poem captures the very essence of a lover longing for her beloved. "Oh for a kiss from your lips, for your love is better than wine." Passover is a lover's dream aching for the beloved's arrival. Passover picks up the pulse of nature's long-awaited awakening, a sleeping winter once again aroused from its frozen slumber. Yet, is yearning compatible with gratefulness? Are we not grateful for what we have, what we embrace, what we clutch at in our outstretched hands? Until we hold, we hold back from giving thanks! The gaze of gratefulness grasps a different reality. While yearning may ache, it is a unique human gift as it holds out hope, and only humans can hope.To be alive is to desire, and life is holy. To yearn for is a godly gift, a reason for gratefulness. Unlike Buddhism, whose ideas I believe deeply enrich our understanding of Judaism ( No, I am not a closet Ju-Bu), where suffering is the result of desire, Judaism acknowledges yearning and desire for the truth, for the good, for God Awareness, as an essential component of our spiritual lives. As long as Jews await the coming of the Messiah, as long as we yearn for Elijah's arrival at our Seder table, the dream and hope for a better world will continue to throb in our souls . Rebbe Nachman said :"We must express our yearnings. The wine of Kiddush will dissolve our inhibitions from expressing them...yearning elevates the soul.This is our "Neshama Yeteirah"-the extra , the higher soul of the Sabbath and Festivals. " With God's help, I will continue my grateful musings on Passover with a look at KIDDUSH as the first step of the Seder's path to sanctity. Three weeks and three days from today, Passover will be upon us.The highlight of Passover is the Seder-the meal of remembrance, fellowship and enhanced awareness of the Divine. 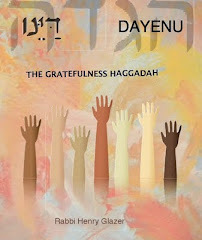 Seder, "order," in itself is a term that taps into a depth of the human psyche that is profound reason for gratefulness. Without the notion of order, our physical and psychic worlds would be places of chaos and terror. As the human mind proceeds to discover dimensions of order in physical space- natural changes in the seasons, the ebb and flow of the oceans' tides, laws of gravity and magnetism that maintain the sensitive equilibrium of earth and the planets around us, the cycles of birth, life, decay and death, laws of cause and effect-all phenomena that lend some predictability to the complexity of the cosmos, we cannot help but feel only grateful wonder for the marvelous fragility of human existence. Consider the mechanisms of the mind. Perhaps the most basic definition of psychosis, of human insanity, is inextricably connected to the experience of psychological chaos and disorder. Imagine the inability to perceive the world around you in terms that are predictable and understandable; the sheer panic of psychic isolation and utter confusion. It is the awareness of order that renders us sane, confident even happy. 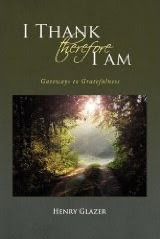 One can succinctly say: "I am, therefore I thank!." Passover begins with the introduction of an order, a structure shared by others which conveys a process by which we arrive at greater God- consciousness. Obviously, for many others, Passover and the Seder may be related to in a diversity of other ways-ethnic, familial, historical, social, culinary and cultural. To me, Passover's greatest gift and challenge is its invitation to enter into a spiritual process of discovering strata of the sacred in the lives we lead, taking us through ritual, prayer, song , food and drink, to a place of elevated God awareness.. I believe that each of the fifteen steps that constitute the Seder experience represent rungs on the ladder of this spiritual ascent. I opened the door to my apartment, touched the "mezuzah" and understood deeply, however fleetingly, the sacred obligation for affixing a container with a tiny "torah" scroll inside on the entrance ways of our homes. A wave of gratefulness weaved its way into my consciousness. I stood for a brief moment, contemplating the warm, embracing welcome of concrete walls adorned with colorful paintings drawn with skill and love by a devoted wife, the table and chairs from which to enjoy plentiful meals, the marvel of modern appliances to add comfort and ease to everyday chores, the expanse of blue sky stretching before me as I dreamily gazed out the window into a distance going nowhere and everywhere. I was home.I put down the bag of groceries, stepped into the bedroom, sat on the bouncy bed and caught sight of photographs resting on the dresser.One, brownish images of a handsome young couple, he dapper-looking in a European style sports cap, she in a simple dress that brought forth plain beauty.The other, in sharp tones of black and white , captured the luxurious moment of marriage, the man in tux and top hat, the bride, stunning in flowing satin, gazing downwards toward a future of uncertainty girded in dreams. One day I thought, my children's bedroom dressers would have on exhibition a photograph of my wife and me and elicit , on occasion, a memory of love. I sit at my desk, putting the cloth of grateful fabric into words, encircled by books, an embrace of wisdom and knowlede, a refuge and shelter, a home within a home. "Baruch ata b' voecha, baruch ata betzaytecha"-May you be blessed when you arrive and blessed when you depart. I am blessed when I arrive, I am blessed when I depart, knowing that a home awaits me. How often have we heard the phrase-"the good old days" - pronounced almost prayerfully by those who wax nostalgic about the past. I can easily understand this inclination; to romanticize the past is often a wonderful way to make the present more bearable. Upon closer examination, however, the only thing that is accurate about this statement is the fact that the days were old; they certainly were not good! By and large, those days we wistfully yearn for were more harsh, demanding and painful than today. I have just returned from visiting my in-laws. For the first time in weeks, my mother-in-law wore a smile on her very lovely face. Prior to today, weeks went by during which she struggled with the agony of crushing back pain. Unable to walk, eat or smile, this 91 year old woman felt utterly hopeless. Her 91 year old husband sank into a silent depression, suffering sympathetically with his wife of over 65 years. Several days ago she underwent an epidural, and as was correctly prognosticated by the physician, the pain abated. Today she walked, ate and smiled again. He husband was singing again. Year ago, in the "good old days," my mother-in-law would have been a prisoner of pain, suffering in silence until the sands of time would have slipped away from the hourglass of her life. Instead, she looks forward to the more hospitable weather when together with her husband she will occupy a bench in the little Queen's park on the corner, surrounded by her community of bent over men and women hanging on to their walkers, drenched in the life-giving warmth of a sunny Spring day. I am grateful for one of the hundred million miracles by which we are blessed . It goes without saying that life is far from ideal. I am grateful for the prospect of unfolding miracles in the future. Mordechai M. Kaplan, the founder of Jewish Reconstructionism, an undisputed pioneer of Jewish thinking ,whether you agree with him or not, was known to have uttered the following brief addendum to the prayer accompanying the return of the Torah scroll to the Ark:"Restore our days as of old"-he added in a whisper-"und a bisel besser"-and a little better! I am grateful that today and tomorrow are invitations to us to add miracles to our lives so that tomorrow , when future generations think back romantically and declare the early days as the "good old days," they will , in fact, be speaking the truth. Standing in line at the check out counter, the cashier suddenly sneezed. Instantaneously there was a chorus of "God bless you" from other cashiers and customers in line with me. "Thank you," she replied with a smile that reflected not only her appreciation but a slight discomfort at drawing attention to herself. GOD BLESS YOU-NOTHING TO SNEEZE AT. Clearly the clever wording intended to convey the importance of God's blessings, something I can only agree with wholeheartedly. I found myself thinking about the meaning of that response to an everyday, ordinary happening, sneezing. We sneeze for so many reasons : the onset of a cold or in its throes, allergic reactions to ragweed ; the stark smell of pepper. I know someone who sneezes when excited or erotically aroused. Why do we bless a sneezer? There are many suggestions. If it represents a symptom of sickness, then it is natural to wish someone well in this way. Others believe that sneezing indicates the opening of a bodily orifice that makes one vulnerable to the harmful intentions of the devil or the "evil eye," always in waiting to inflict injury upon the innocent and unsuspecting. I consider this ordinary act differently. It is a way by which we extend our good wishes to others, many of whom are complete strangers and in this way create, if only for a passing moment, some bond of human connection. We can then express our gratefulness for the instinctive sense of caring and concern that flows from the human heart. Perhaps the phrase is a ubiquitous and universal prayer heard in every and any possible location and circumstance. Indeed, it is nothing to sneeze at. 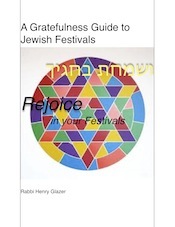 “Thirty days prior to Passover, the laws of the festival are reviewed and studied.” Thus the Halachik (Jewish legal) tradition enjoins us to prepare for the proper observance of the Passover holiday, given the multiplicity and complexity of procedures, practices and laws that constitute the Passover celebration. Yesterday I met with my Tuesday morning “Bible and Bagel” class. The title is somewhat of a misnomer for two reasons. With the exception of one or two sessions, cookies accompanied our coffee, not bagels. Two, with the exception of our beginning few meetings, out topic of discussion took us far a field from a Biblical focus. As we gathered around the library table, students were brimming not with biblical concerns but with deeply felt and experienced dilemmas of how to be meaningfully Jewish in today’s rapidly changing and confusing world. The question posed yesterday was intimately connected with the struggle of families to maintain “Shalom Bayit”-peace and harmony in the home, when differences of Jewish opinion and practice prevail under one roof. It became evident to me that the group, on anticipation of the approaching holiday of Passover, felt emotionally compelled to consider this challenge. Soon the family would be sitting around the Seder table. Would there be warmth and harmony, expressions of love and gratefulness for the reunion of loved ones, or would our Seder tables be tarnished with simmering antagonisms and unresolved tensions? How does one arrive at compassionate compromise while remaining loyal to one’s commitments? The spiritual task of Passover entails more than the telling of a narrative, the precise amount of wine drunk from the four cups or the meticulous measurement of Matzah by which to fulfill the mitzvah! Do we lose sight of the praise=the words of Hallel- that should not only emerge from our mouths but should arise from our hearts as well? When we exuberantly sing out the refrain of “Dayeinu, “ do we pay sufficient attention to the melody’s spiritual meaning, its message of being grateful for God’s endless gifts of goodness? Are we in fact grateful for those seated around our tables or do feelings of past hurts and misunderstandings stubbornly get in the way of gratefulness? This discussion summoned the wisdom not only of the rabbi, but of each member of the study group whose life’s experience and struggles endowed them with the wisdom of life. We shared our understanding, our sensitivities, our hopes and our personal wounds. Were there specific, how-to answers? Perhaps not. Instead we allowed ourselves to openly listen and share, searching for ways to make the coming Passover one of greater meaning and spiritual significance. As the problem of differences between husband and wives regarding Judaism and how Jewish identity would be transmitted to their children, if at all, was bandied about, I thought of a passage read from the Haftarah on Shabbat Hagadol, The Great Sabbath, the Sabbath immediately before Passover: “ I will send the prophet Elijah to you…he shall reconcile parents with children and children with their parents…”(Malachi 3:23-24). Perhaps, I thought. 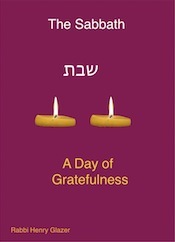 Not only prior to Pesach-Perhaps that’s what the synagogue is all about-a place to help Jews find gratefulness to God, to their loved ones and to their community and in this spirit arrive at the harmony, the “shalom bayit,” we so deeply desire. A sweet and grateful Passover. I am not particularly fond of meetings, especially committee and board meetings of a synagogue. Not uncommonly, they become arenas of mutual recrimination, criticism and ill-will, only occasionally punctuated by expressions of gratitude and recognition. Perhaps the volunteer nature of these undertakings fosters the outburst of less desirable thoughts and feelings which in professional and business settings would require restraint. Yesterday was an exception. We met in the synagogue kitchen. The education committee was comprised of religious school parents, and because two of ts members needed to bake "Hamantaschen", three cornered Purim pastries reminiscent of Haman's hat or ears, depending on your source of authoritative Jewish information, we squeezed around the kitchen counter, and proceeded to conduct the business of the religious school. The meeting began with a babel of voices erupting at the same time. For several miutes the format of a formal meeting metamorphized into a typical family gathering around a kitchen table. There was not only loud conversation but ripples of laughter and exuberance, animated with passion and excitement. The chaos was delightful. I smiled, thinking about the warmest experiences of my childhood, sitting around the kitchen table giggling, eating, teasing and talking. After all, in so many Jewish homes the kitchen table was altar and academy, the agora for any and all important family activity and decisions. Strangely, but not surprisingly, amidst the apparent confusion and clamorous exchanges, much was accomplished. Planning was completed for Purim and Passover, and good will, generosity and mutual care and concern were the currency of all conversations. The meeting was fun, because somehow we all shared a common goal but beyond the objective, a genuine feeling of family prevailed. Looking up and around me I caught sight of two women busily folding the Hamantasch dough into triangles filled with cherries, poppy seed and chocolate chips. Around me, parents were busily jotting down notes ,checking calendars, and noting appointments and scheduled activities. Suddenly amidst the din of deliberation the room became redolent with the warm and delicious fragrances of freshly baked holiday fare. All talking came to an abrupt halt.Silence reigned for a mere few seconds as we each found ourselves embraced, even enchanted by the momentary inhalation of sacred scents of holiday celebration. Collectively we gratefully exhaled the breath of blessing. I left that meeting personally grateful for being granted a memorable moment of feeling so deeply at home in the sacred space of a synagogue. Perhaps, I thought, there is room to reconsider the location of the Holy Ark. Perhaps the place which permeates our Jewish beings most deeply is less the framework of formal worship and more the space in which the incense of Jewish smells can suffuse our sensual souls. I understood then, in a particular way, the significance of a sanctuary that offers sacrifices to its God. The way to the Holy of Holies was the avenue of the altar, from which tastes and smells saturated the sanctity situated behind the curtained entrance to the ineffable presence of God. I have just returned from a clergy visit at a local hospital. Since I have retired from the full-time pulpit rabbinate, such visits have been greatly reduced. As I approached the hospital lobby it suddenly dawned on me how much I had missed this mitzvah. While a fully active rabbi, not a week would go by without several hospital visits. I always considered this component central to my pastoral duties as rabbi. Today, I realized how important it was not only to the patient but to me. To many , hospitals are scary places, places of worry, fear, vulnerability and pain. Other than the healthy birth of babies, we try our utmost to avoid them. Today I saw the hospital in a different light, as a place of hope and healing, of incredible care and the giving of oneself, and I would assert confidently, God's dwelling place..
As I left the patient's room, I was overcome by an all embracing sense of gratefulness, quietly saying "thank you" to the world and the community for the availability of medical advancement, technology and the expansive network of caring human beings. Rather than being dejected at the prevalence of so much sickness and pain, somehow I was able to touch feelings of gratefulness. I heard my name being called. It was an elderly member of the synagogue I serve on a part time basis. He wore the jacket of a volunteer. I knew of his outstanding volunteer efforts on behalf of the synagogue, single-handedly managing all ritual affairs for all services, three time daily, seven days a week. Now he was working as a volunteer in this hospital. He informed me that he had been doing this for fifteen years, between eight to ten hours a week. Matter-of-factly, he added: " It's wonderful for the hospital, for the patient and most of all for me." A few moments later I learned that he had given this hospital over nine thousand hours of his free time. It was as if he had taken off over a full year of his life and handed it over to the hospital as a gift . I commented: " I believe that what you do is wonderful for the Ribbono Shel Olam-the Master of the World, as well." He rushed off to continue to serve, not wanting to waste his precious time of giving in idle words of perfunctory conversation. I returned home inspired.Not only had this visit proven to be one of fulfilling a mitzvah, a sacred deed, entailing the giving of time , effort and concern, but more significantly I discovered that I had been given a most important gift, the gift of gratefulness for performing this act of compassion. I thank You, God, for Your gift of Mitzvoth. Parking lots are places of brief, passing moments in our lives. We hurry to find the spot closest to our destination, and scurry away as fast as possible. Except for clandestine , anonymous meetings, these spaces are sterile and practical. I arrived early by 5 minutes. Coming from minyan, from daily prayer, my favorite grocery would open at eight. Usually the interval of minutes would be occupied with glances at the New York Times; headlines, an article that would catch my interest, and of course, the obituaries. Why death notices? Am I that morbid ? I think not. My advancing age has led me to recognize the fragility and fleetingness of life so that I am reminded of how precious is the gift of each day. This time I ignored the newspaper. I simply sat in the lot, situated along the Hudson river, and watched the the furrows of water flowing with life in the early morning sun. The radio emitted the glorious tenor sounds of Guiseppe di Stefano, who had died the day before, singing with passionate restraint the hauntingly romantic strains of Puccini's La Boheme,"che gelina manina"-how cold is your hand. It was a balmy March day, marking what I hoped would be the beginning of spring. Even the wind, which only a day earlier was bitingly cold, now blew with subtle warmth, embryonic in its message of warmer days to come. The news. It was eight o'clock, time to make my way for a brief shopping errand. I looked forward to my cafe au lait, one of my few extravagances. As I walked, wind in my face, I waxed grateful for so much in so little time and in such a small space. An open parking lot became a shrine of gratefulness. "The flight has been delayed one hour." I was greeted with the news two hours prior to the regularly scheduled flight back to LaGuardia. I had three hours "to kill." Heschel's words darted into my mind: Killing time is spiritual homicide.Time is more than money; it is life itself. I took a seat in the waiting area. The delay's end seemed distant. I opened my Talmud and proceeded to study the "daily page"-"daf yomi." The longer waiting period left me more leisure time to study, an activity usually eeked out of daily activity and demanding work schedules. I was grateful for this stretch of less stressed study time. With the study period over, another challenge to my time. "Thank God for the NYT crossward puzzle!" I exclaimed quietly. In the midst of struggling to fill in those boxes ,a static filled voice suddenly announced the departure of my flight. Thousands of feet in the air, after several frustrating attempts, mysteriously the words finally fit the boxes, and I successfully completed the puzzle. We approached NYC. "Ladies and gentlemen.This is your captain speaking. Heavy runway traffic at LaGuardia will delay our landing by another half hour. We apologize...."
Peering out the window I found myself absorbed in the beauty of the plump, fluffy clouds forming endless stretches of white bumpy beds . Above, a canopy of vast blue. I was suspended beyond the clouds, earthless, groundless, hanging in the atmosphere's apparent emptiness. A verse from Job popped into my head: "Toleh eretz al b'limah"-Who suspends the earth over emptiness. Manhattan came into view. A soundless and motionless metropolis, its skyscrapers miniaturized by vertical distance. Apart and alone, a stick of green pointing skyward. The Statue of Liberty. This glimpse of green, seen by millions from huddled hulls in the sea, I now observed from the cuddled comfort in the sky. Millions of hearts filled with gratefulness for a new chance, a new opportunity, for freedom never before imagined. I too was grateful for a renewed moment of reconsideration of a life and land taken for granted too often by too many. We circled this breathtaking island several times. I was grateful not only for a safe landing but for the gift of grateful reveries and dreams fulfilled.